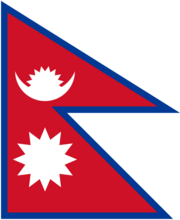 Western use of Nepalese surrogacy services entered the news and received some criticism following Nepal’s April 25, 2015 earthquake. After the earthquake, Israel sent planes to evacuate babies contracted by Israeli couples and born to surrogate mothers in Nepal, leaving the surrogates behind often without adequate medical care. In October 2015, three weeks after the country’s Supreme Court issued an interim order to halt surrogacy in Nepal, a meeting of government ministers decided to ban surrogacy altogether. ↑ Kamin, Debra. "Israel Evacuates Surrogate Babies from Israel But Leaves the Mothers Behind.” Time, April 28, 2015. ↑ The America Tonight Digital Team. “Outsourcing Surrogacy: It Takes a Global Village.” Aljazeera America, May 15, 2014. ↑ Dahal, Binita. “Wombs for Rent: Commercial surrogate motherhood is moving to Nepal because of restrictions in India.” Nepali Times, January 30, 2015. ↑ Gautam, Manish. “Door Opens to Foreigners for Surrogacy.” eKantipur.com, December 4, 2014. This page was last modified on 26 January 2016, at 13:59.